After a major yearlong restructuring, 2007 will end up being a crucial year in the life of Sector Group USA. The New York-based watch and jewelry distributor, a subsidiary of Padua, Italy-based Morellato & Sector, which last year had a turnover of 195 million euros, or $276 million at current exchange, is out to increase its infiltration in U.S. stores, bringing to retailers an impressive array of designer watch and jewelry brands. “We have completely restructured the company this year because we want to aggressively expand the distribution of the brands that existed before, and to launch all the new brands that exist under Morellato & Sector,” says Marco Frison, chief executive officer of Sector Group USA. The umbrella company that owns Sector is regarded as one of Europe’s leading watch and jewelry companies. In November 2006, Morellato – which began in the Thirties as a maker of leather watch straps and now makes a full line of men’s and women’s watches and jewelry under that name – joined forces with Sector, a popular brand of sporty watches. The new group now runs a hugely successful timepiece and jewelry retail business in Europe, where it operates some 287 multibrand stores under the name Bluespirit. The alliance also brought together the various licenses held by both companies, including high-fashion name Miss Sixty and red-carpet favorite Roberto Cavalli. Morellato & Sector also recently announced it would launch a collection of John Galliano watches at the Basel Trade Fair in April 2008. In September, the Miss Sixty watch line was rolled out nationwide, while Miss Sixty jewelry was shown at the JCK show in Las Vegas in June. 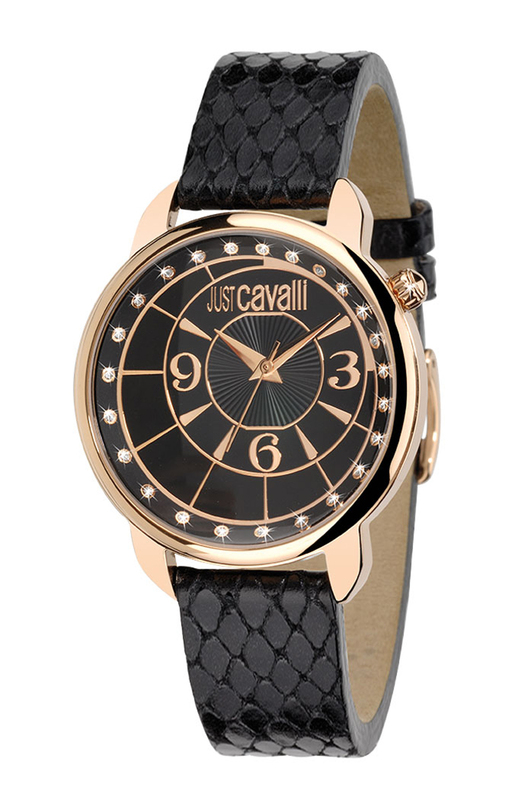 JCK was also the launching pad for Just Cavalli women’s jewelry. Just Cavalli jewelry for men entered stores for fall 2007. Sector jewelry was also at JCK, and the existing watch collection is being repositioned nationwide. Morellato jewelry andwatches will be introduced to the U.S. for next year. Philip watches, another brand under the Morellato & Sector umbrella, celebrates its 150th anniversary next year, which will coincide with a deeper rollout in the U.S. And Pirelli – the company best known for high-end tires and a famous calendar heaving with supermodels and A-list actresses – is redesigning its signature rubber-strap watch, with new styles coming on line next year. Massimo Carraro, president and ceo of Morellato & Sector, says the alliance with John Galliano, one of the most prestigious names in couture, would give the company even greater visibility and penetration. The Galliano collection will join the Roberto Cavalli line at the top end of Morellato & Sector’s brand pyramid. Frison says the long-term objective of the company is to have something for every customer at every price point. The Miss Sixty jewelry and watch lines retail from $50 to $190; Morellato will go for $55 to $250, and Just Cavalli from $100 to $300 for both jewelry and watches. Sector will carry pieces from $65 to $900. Roberto Cavalli watches cost up to $1,900 at retail, Philipwatches are priced between $230 to $1,300 and Pirelli between $500 to $2,000. The anticipated retail prices on the John Galliano line will be between $1,200 and $3,000. Frison adds that he anticipates being in 1,500 doors by the end of 2008 – up from between 600 and 700 now – including majors like Macy’s, Saks Fifth Avenue and Bloomingdale’s, as well as specialty watch and jewelry stores. Status and style proved to be the primary focus of watchmakers and jewelers at the 1996 World Watch, Clock and Jewelry Show in Basel, Switzerland. Emphasis was placed on white precious metals such as white gold and platinum in lieu of stainless steel, new accent colors, and vintage-style watches featuring many models with contrasting color faces and Arabic numerals. With the watch field becoming increasingly crowded, fashion and prestige captured the traffic at the mammoth World Watch, Clock and Jewelry Show here last week. * White precious metals like platinum and white gold becoming more prominent as makers traded up from sportier stainless steel. * New accent colors including pink and rose gold, and even copper. * A variety of vintage-style watches, many with Arabic numerals and contrasting color faces. Further underscoring the growing role of fashion, men’s watch makers were making specific models for women, rather than just downsizing their men’s styles. In jewelry, key looks went in two opposite directions — dainty, small designs and bold, graphic pieces. The eight-day fair, which closed Thursday, featured 2,433 watch and jewelry exhibitors, nearly 80 percent of which came from outside Switzerland. Exhibitors from Italy and Germany, mainly jewelers, accounted for more than half the total. Buyer attendance figures were not available at press time, but organizers assessed the turnout as about the same as last year, or roughly 80,000. Some exhibitors said they they felt business was a bit slower this year, particularly with European customers from markets like France and Germany, where retail business is still sluggish. Many added, though, that they saw an increase in buyers from Southeast Asia, a trend being witnessed at many other recent trade shows in Europe, and throughout the fair, watch-makers with some sort of cachet talked about strong business. Retailers confirmed the growing inherent appeal of the luxury product, both in jewelry and watches. “The return to precious stones rather than semiprecious is prominent,” said Stephen Magner, vice president of watches and jewelry for Neiman Marcus. “We are also seeing a lot more fashion, with pastel-colored stones, like peridot and pink tourmaline,” added Timothy Braun, Neiman’s fine jewelry buyer. “White gold, white metals and square watches,” were among the key elements recapped by Carolyn Kelly, fine jewelry buyer for Saks Fifth Avenue. She added that while the Swiss franc is still high against the dollar, the the franc dropped 20 percent this year in the dollar’s favor. While price doesn’t determine Kelly’s buying choices, she said the better exchange makes for easier buying. “This is not to say that we are only selling image,” Viros continued. “You also need a high-quality product. People are worried about the future and are looking for `refuge’ brands that have a trustworthy image,” he added, noting that Tag Heuer headquarters, foreign subsidiaries and distributors spent $18 million on advertising and marketing last year. This year, Tag Heuer is adding sponsorship of the prestigious Whitbred around-the-world yacht race to its roster of sports marketing agreements. Select distribution is another key point, Tag Heuer executives noted. The watch company has progressively reduced its number of doors in the U.S. from 3,000 about 10 years ago to 1,000. U.S. sales continue to grow, however, and will end this up around 15 to 20 percent higher than last year, said Fred Reffsin, president of Heuer Time & Electronics Corp., the U.S. subsidiary. The pull of fashion was demonstrated at the display of Gucci watches, made in Switzerland under license to The Severin Group based in Irvine, Calif. The Gucci stand was packed, and despite the trend to white gold replacing stainless, the interest there was largely due to the new stainless steel “G” watch, inspired by designer Tom Ford’s Gucci G motif. The watch, which comes in three sizes for men, women and juniors, is priced to retail at $895 with the steel bracelet, or $695 with a black patent leather strap. A spokeswoman said that the watch will be the focus of the company’s watch advertising campaign due to appear in the next few months. Asserting that the watch license was a mainstay while Gucci was going through some rough times a couple of years ago, Severin said that the Gucci watch brand is racking up a retail volume of about $500 million. Watch competition is particularly tough in the low-to-moderate sector of the market. Oris, of Holstein, Switzerland, is banking on its sporty image and it’s focus on stainless steel, mechanical automaticwatches to boost its sales, according to Mark Wasserman, president of Oris USA. Oris introduced several new watches at Basel, including the Big Crown Chronograph, featuring an oversized crown, like those used on old pilot watches. The larger crown enabled pilots, wearing heavy gloves, to manipulate their watches more easily. The chronograph is a combined chronograph and chronometer, Wasserman noted. Oris currently has 70 accounts in the U.S., a number Wasserman hopes to raise to 100 by the end of this year. Oris watches retail from $400 to $2,000. Among the watchmakers out to change their image of being strictly dedicated to men’s styles was Audemars Piguet, based in Le Brassus, Switzerland. All the vitrines of Audemars Piguet’s booth featured women’s watches, even though women’s time-pieces represent less than 20 percent of unit sales. “For the last three years, we have started to take the energies and talents of the firm to work on developing ladies’ watches,” said Larry Kreilser, chief operating officer of Time Products, North America, the U.S. distributor of Audemars Piguet and Blancpain in the U.S., and several other luxury brands, including Piaget and Vacheron Constantin in the UK. Like other traditional men’s watch makers, AP wants to better balance sales in favor of women because they buy more watches than men. These companies also want to show they have the know-how to make women’s watches. Audemars Piguet launched Opera, a gold bracelet watch with a diamond bezel and lugs, featuring ruby and sapphire cabochons, to retail at $24,000. Opera, along with the Carnegie watch launched last year, will be part of a major retail push with Neiman Marcus next fall, which will even feature trunk shows, Kreisler said. Neiman Marcus’s Tim Braun confirmed these plans. “We want to show women how to accessorize their fashions with luxury watches,” Braun said. Other watch companies courting the women’s watch business included Blancpain, with a new retro military watch called Fly Back, introduced for men and women; Omega’s continued push with the Constellation watch, using supermodels Cindy Crawford and Elle Macpherson as spokeswomen; Breitling’s perpetual jeweled watch, and Jaeger-Le Coultre with a women’s diamond Reverso. Bulgari, which showed its watches outside the Basel show halls in a historic mansion nearby, also offered more women’s watches, featuring colored precious and semiprecious stones. Jewelry at Basel has a lower profile than watches, but it’s a growing segment. The jewelry manufacturers, along with component makers and stone traders, are housed in a smaller show down the street from the main European watch hall. The trend toward small-scale jewelry was seen at such jewelers as David Yurman, whose bold, silver cabled looks were shrunk down to more delicate dimensions. “We have introduced scaled-down, more simple looks. Our neckwire is in a much smaller width,” explained Kate Harrison, director of product development for the New York-based designer’s company, who said the hope is that the small sizes will attract a younger customer. Wellendorff Haute Couture in Gold, from Pforzheim, Germany, also went to smaller dimensions. Best known for their silk-cord-inspired necklaces and bracelets, Wellendorf showed reduced silhouettes, daintier chokers and bracelets in white gold. In contrast, there were strong graphic looks like the wide rings in pink gold featuring big inset dots in white or black enamel from Maria Grazia Cassetti, of Florence, Italy. Link bracelets in large honeycomb or other geometric patterns, with matching earrings and other accessories, were shown by companies including Chopard and Italian maker Alessandro Biffi, featured in the World Gold Council’s trend showcase. Statistics presented by such organizations as the World Gold Council and De Beers Central Selling Organization helped give the mood a lift, pointing to increased sales for gold, platinum and diamonds in most markets last year. Demand for gold in the U.S. was up 6 percent, while in the UK, gold sales rose 13 percent; in Italy, 5 percent, and in France, 3 percent. Sales declines were experienced, however, in Germany and Greece, as well as several Southeast Asian markets. Platinum sales reached a world record of 1.49 million ounces, up some 40,000 ounces compared with 1994. The sharpest rise was in North America, which posted an increase of 18 percent. Sales for diamonds also scored record levels, according to De Beers, posting an increase of 6.6 percent, with the strongest increases in the U.S., Japan and Southeast Asia.